The release of Samsung's Galaxy S3 has been pushed back for users on all four major carriers, though the new Android smartphone should still be released by the end of June for most. 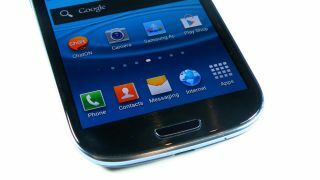 Sprint still plans to release the 16GB version today, barring a one- or two-day delay for some pre-orders, but the 32GB Galaxy S3's release could be delayed as much as a week, the carrier said in an official statement. "We apologize for any inconvenience and appreciate the patience of our customers as we work through this minor delay in availability," Sprint's statement said. T-Mobile, on the other hand, reported that both versions of the phone could be delayed until June 29, except in major cities like New York, LA, Houston, and San Francisco. Sprint's version of the 16GB Samsung Galaxy S3 goes for $199 with a two-year contract, while the T-Mobile version, which lacks Sprint's 4G LTE advantage, costs $229. The 16GB Samsung Galaxy S3 release date for AT&T users remains firmly planted as today, though the 32GB version appears to be delayed, possibly until June 28. Verizon, meanwhile, pushed back the Samsung Galaxy S3 release date from July 9 to July 10. AT&T's 16GB Galaxy S3 is selling for $149 with a contract through Target or Amazon Wireless, while Verizon's has a $199 price tag. AT&T also plans to release an exclusive red version of the phone in coming months, though the red Galaxy S3 release date has (perhaps wisely) not been specified beyond that vague estimation. Sprint, T-Mobile and Verizon customers are able to choose between white and "pebble blue," though the blue Samsung Galaxy S3 was recently reported to be backordered in some countries, causing delays. But even with the delays, the Samsung Galaxy S3 release date could remain in line with Samsung's claims from a few weeks ago that the phone would be available everywhere by the end of June. Samsung Galaxy S3 an iPhone killer? TechRadar recently pitted the Samsung Galaxy S3 against its biggest competitors, Apple's iPhone 4S and HTC's One X. The Galaxy S3 sports a 4.8-inch Super AMOLED display, Qualcomm S4 processor, 8MP camera, and 2100mAh battery. The Android 4.0 smartphone also features NFC capabilities, facial recognition to track users' eye movements, and voice controls mimicking the Apple iPhone 4S's Siri. Hopefully, the Samsung Galaxy S3 release date being pushed back doesn't affect its standing against its rivals, because right now it's poised to be a serious contender.